Wabash Avenue Presbyterian Church is enrolled in the Amazon Associate Program. That means that purchases you make from Amazon.com will earn money for Wabash Avenue. It is easy and it does not cost you anything. Amazon pays a percentage of all purchases madeto Wabash Avenue. Click here to turn your Amazon shopping into financial blessings for our church family's ministry, outreach, and witness. Thank you and God bless you! Wabash Avenue Presbyterian Church is a church where all who seek God's greater life in Christ are welcome. Ours is a congregation where questions are okay; where the value of all persons is respected; and where the love of God to save us all is emphasized. Casual dress is always welcome. You are, too! Welcome to our church family's web page. We invite you to look around and get a feel for our church. Feel free to share any comments or questions that might be on your mind through our online guest book. If you're not currently a member of our church, we invite you to our weekly worship service to experience the amazing grace of our good God. Feel free to contact me if have a question or need: Pastor. We hope you will have a Spirit-filled experience with us as we worship and fellowship together at our services and events. 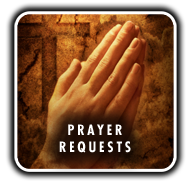 We invite you to make an online prayer request. Your prayer request opens the door, and God is waiting patiently on the other side of that door, at all times, in all situations, to join with you and bless you. We look forward to your visit. May God richly bless you.